Kudos and thanks to our community for pitching in to help make the bay better! 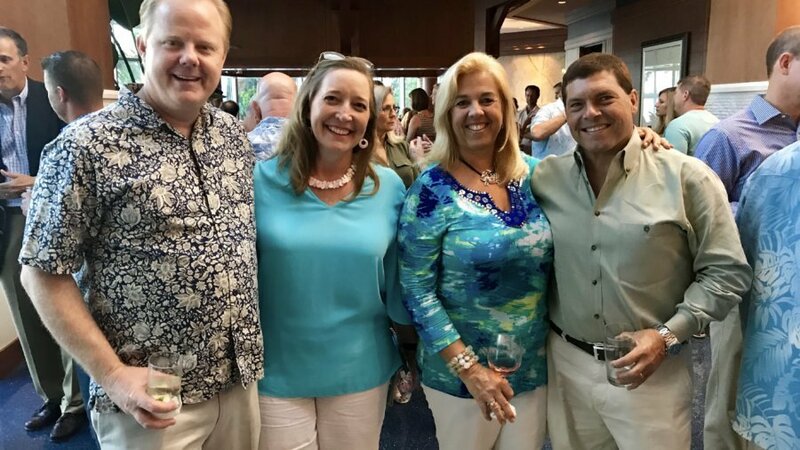 Sarasota Bay Watch’s 7th annual fundraiser – “Scallopalooza It’s Clamtastic!” was a huge success. Individuals, businesses and organizations from around town helped raise over $28,000! START took a lead role in this effort by providing the initial $3000 to create a matching challenge pot of money. The Gulf Coast Community Foundation and a private donor each added another $1000 to bring the match total to $5000. With these funds Sarasota Bay Watch will continue to host on-the-water community-based events to restore waterway islands, protect sea birds by removing fishing line and gear from mangrove bird rookeries, engage local divers and top side volunteers in underwater cleanups, provide leadership development opportunities for area youth, and engage our neighbors to become better water stewards. Sarasota Bay Watch and its volunteers also will continue the important work of restoring shellfish to Sarasota Bay and surrounding waters. We soon will travel north to collect new bay scallop brood stock for spawning and currently we have a quarter million souther hard shell clams growing in the Boca Grande area, which will be harvested in mid-2018 for release in Sarasota Bay. Thanks to all who donate their time, expertise and/or money to help make the bay better. As we like to say “A Healthy Bay Is Everybody’s Business!” and it takes all of us pulling together to restore and protect the bay.